First cut a 6" x 9 1/2" piece of Stampin' Up! Melon Mambo card stock and fold it in half for the base, a 4 1/2" x 5 3/4" piece of Bermuda Bay for the middle layer and a 4 1/4" x 5 1/2" piece of watercolor paper for the front layer. Next create the bokeh background. 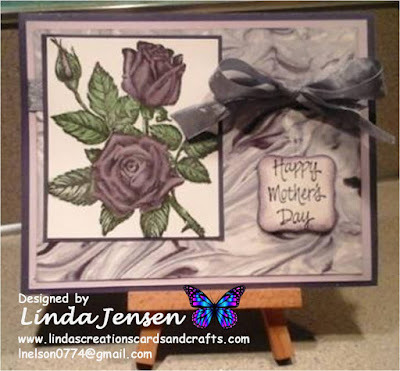 I made this card with the watercolor bokeh technique (Click here for an awesome tutorial) but I prefer the sponging method. Then using a Stamp a ma jig create the butterfly by double stamping (inking your stamp, stamping on a piece of scrap paper then on your project without re-inking) the first layer in Bermuda Bay ink, then regular stamp the second layer in Melon Mambo ink, the third in Bermuda bay then the body in Stazon Jet Black ink. Next cut it out with a Stampin' Up! Bold Butterfly Framelits die, attach it to the front layer with a mini pop dot, stamp the sentiment with a stamp from a Stampin' Up! 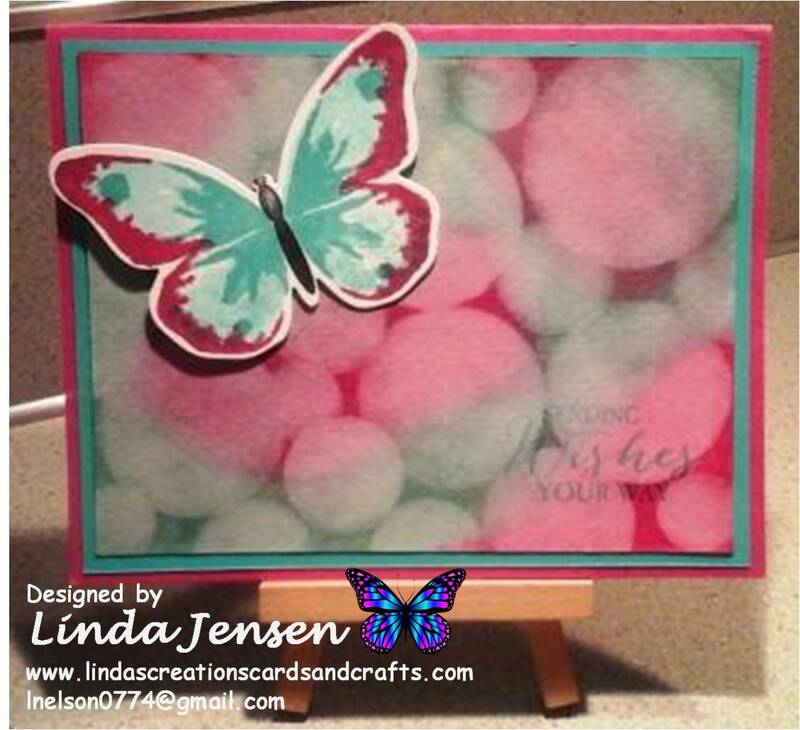 Butterfly Basics set in Bermuda Bay ink, attach the front layer to the middle layer then to the base and enjoy!